Are you planning to renovate your bedroom? You’ve decided to change the design of the bedroom but are afraid whether it would affect the décor of your house or not. There are many new designs which are available in upholstered bedheads, and you can very well refurbish the style of your bedroom, by including upholstered bedheads. It is always not possible to buy new bedheads, as you can buy new sheets and comforters and cover them up, when they are used for long, but the bedheads are always clearly visible. So you can use patterned fabrics or soft leather to give a changed look to your dull-looking bedheads. Bedheads can be incorporated along with the distinct style of your furniture, and also with the background color of your bedroom. You can get a whole lot of designs from the home improvement sites on the internet, or search from your local retailers as well, to get the new styles of bedheads. No matter what you change, remember that the constant piece that you are going to have really long in the room is the bed itself until and unless it is damaged or needs repair. Buying new beds every new season is not only pointless but expensive too. This is why the one part of the bed that would actually enhance the lifespan of the bed is the bedheads or headboards. Though the lower part of the bed remains covered with the help of sheets or comforters but the upper end will always have a headboard. Safety: How many times have you hit the back of your head against the wall present at the back of your bed? 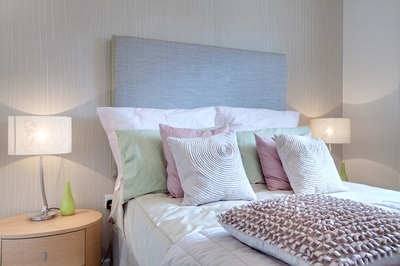 With headboards you can have a soft padding that would protect your head and even prevent accidents too. 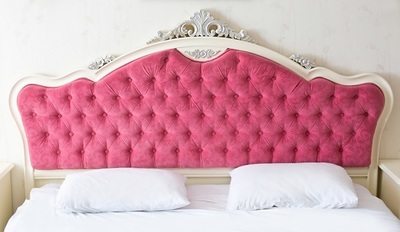 However, the thing is there are certain headboards that are hard itself and have rough corners or edges, avoid purchasing them and go with the one that would be soft and comfortable for your head. Designs: The headboards are available in a wide range of colors, patterns and designs. This gives you the opportunity to match the design of the board as per the present theme of your house, making it appear elegant and thus completing your bedroom. Best thing is if you decide to renovate your bedroom again then you can just get the bedhead upholstered and yet again it will suit the theme that you have decided for renovation. Posture: Before falling asleep there are many who love to read a book. Normally, they do this by sitting close to the bed lamp where the back is rested against the bedhead. Without bedheads, there is a chance that you may get back ache or head injuries, but it is also true that you must renovate the bedheads at an affordable cost, as you do not need to spend much for the single or the double bedheads. Never overlook the importance of bedheads in your bedroom. It’s like any other part of your room such as furniture or bed that completes the renovation process of your bedroom. So to experience the best of your bedroom do remember to have bedhead as this has the ability to provide the look and feel of deluxe hotel, offers optimal safety and is essential for better posture. If you want to get to stylish bedheads for your bedroom then just click here and know more details.